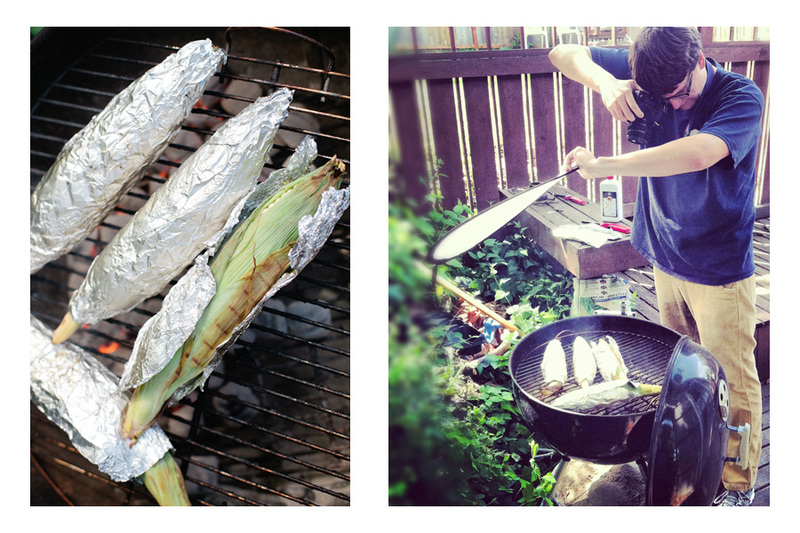 I've been working on a new blog URL and potentially a new name for quite awhile now. I know, I haven't even started the wedding recaps and I'm already onto another blog (#6, holy what?!?!?). When I started this one, I had hoped to keep it for the rest of eternity, documenting our lives and such. The current name and URL makes total sense. But, I didn't thinking that people outside our friends and family circles would be drawn to it for various things. Hi, blog friends. Please stay! please excuse the crappy phone picture. 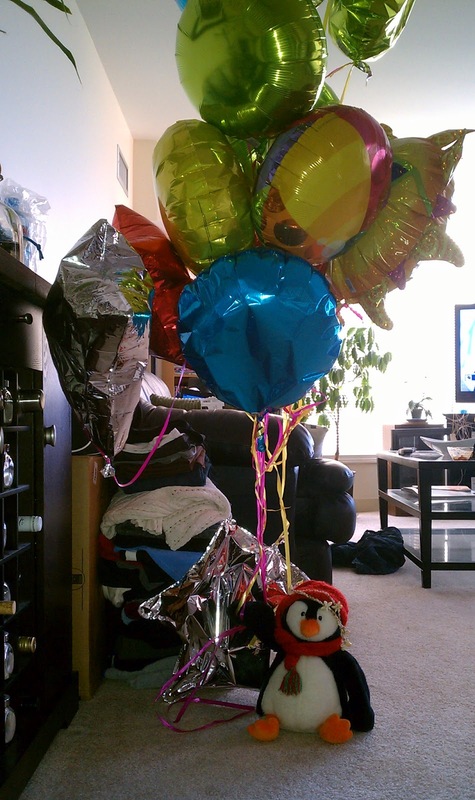 Yes, that is a penguin holding 17 mylar balloons with a shell lei on it's head. This is only the beginning of how crazy we actually are. So in addition to the regular blog posts, I'll also include some penguin escapades. The new site isn't up yet. I'll keep you posted on when the switch over will happen. What do you think of the new name? 86 days until my sabbatical. But, I'm not counting. Bah! I meant to have this posted on May 31st, but I totally failed at that didn't I? Well at least it's technically the first full week in June. My friends and their families have been keeping me busy with cupcake orders the last couple of weeks. I kicked started May with a bridal shower order for 5 dozen cupcakes. Follow me on Instagram @hungc. We attended our first wedding of 2012 (we were invited to 4 - at least for now). I don't know about Jake, but I got a huge kick out of seeing the props from the photobooth at our wedding reused. Steampunk Festival 2012! Every year, our town hosts a steampunk festival. I remember wanting to check it out last year, but we must have been out of town or doing something wedding related. It was small, but there was a lot to see. A full day of people watching if you will. There was also an abundance of tiny top hats and goggles! I had to restrain myself from buying a tiny hat that I'll never wear. I had my first photoshoot! Our friends asked if I would be willing to take 6 month photos of their darling baby girl. Um, YES OF COURSE! I'm still blown away and humbled that they trusted something so precious to me. After spending half a day together, I ended up with 606 photos! We had to stop because I ran out of space on my memory cards. The money shot, taken either during a diaper or clothing change (right). Baby M and I hanging out during her playtime. Such a beautiful family! We <3 you! For the last month, I had been frantically working on a baby blanket that I can FINALLY talk about. Let's start with the inspirations first. This colorful combination used for wedding ceremony decor caught my eye. It was pretty perfect since the mom-to-be was trying to decide between either a grey/yellow or a grey/red scheme for the nursery. The aqua-teal color added a nice punch and was gender neutral enough that I felt it would be safe to run with. Ceremony decor via Style Me Pretty. Baby Y's blanket! Guess I didn't take any shots of the whole blanket. 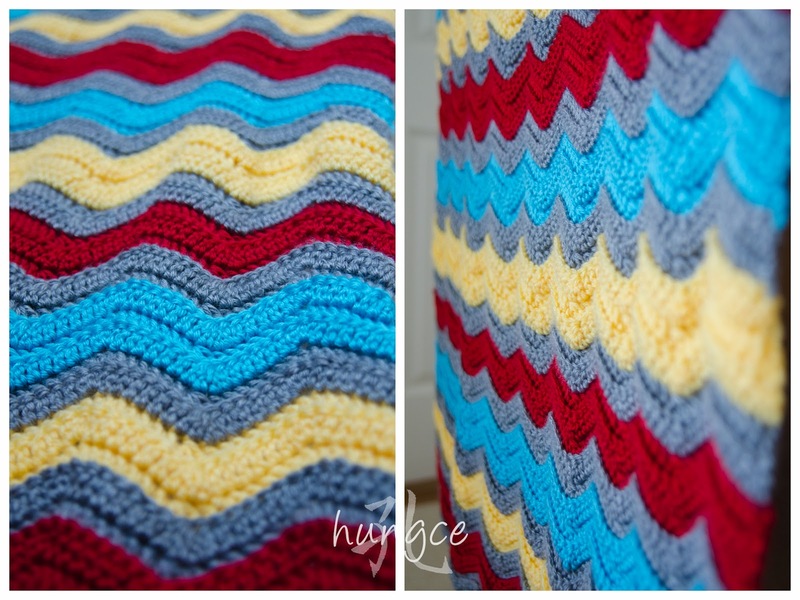 Red Heart Soft (red, grey, and aqua) and Vanna's Choice Baby (yellow) resulted in a super soft blanket.